Back in the “Mega test” video I did back in May 2016 Pro Tools was the worst behaving DAW on the Surface Pro 4. Now, things may have changed. Previously it would click and pop and glitch on the most basic projects. Now it seems to be stable loading up plug-in after plug-in until the system is totally maxed out. What a change! It’s the most remarkable turn around I’ve seen yet. Pro Tools is behaving beautifully on both the Surface Book and the Surface Pro 4. It worked unexpectedly well. Check out the video below for the full details and remember that your mileage may vary – your experience may be better or worse than mine. All I can show is what and how I tested the system and the results I found. I hope it’s helpful. K-Mix USB Audio interface running ASIO drivers at 256 samples. Fantastic news and excellent video, as always! – Touch typed on my new Pro Tools Surface Book! Great work, it really easy to follow! Would you expect the surface pro 4 to perform just as well as the surface book if it had the i7 and 16GB of RAM? Thanks for the video! 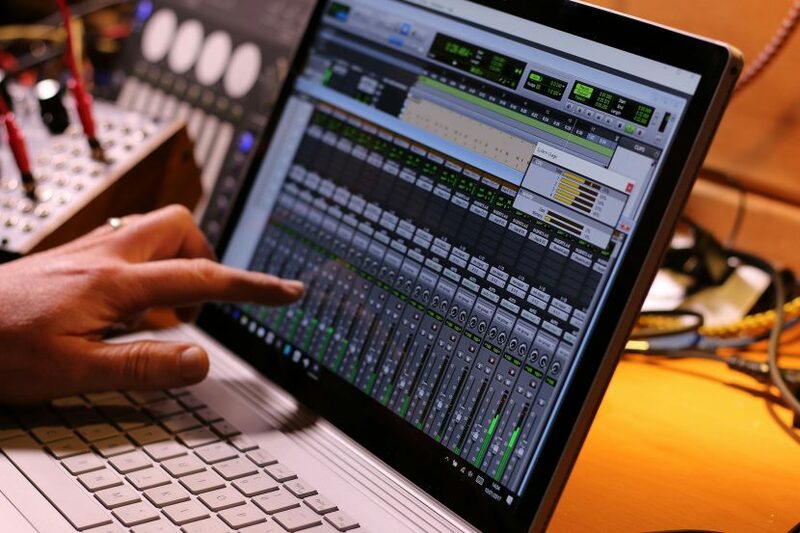 Just wondering – would you expect the Surface Book 2 to be able to handle Pro Tools? I’m assuming so, seeing as you seem to be working on the first version.